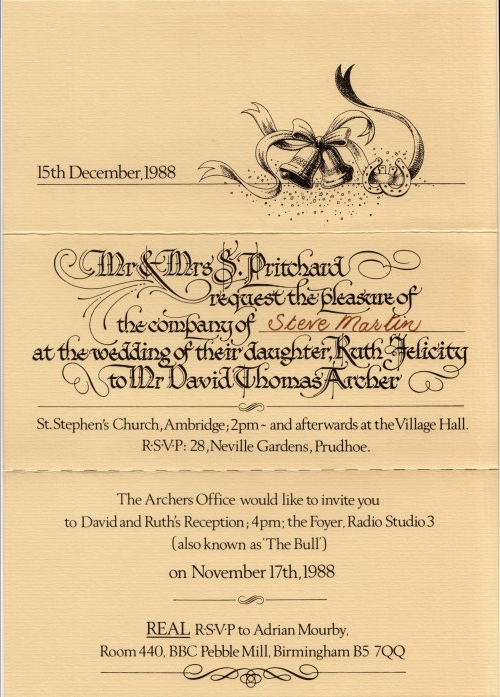 This invitation was given to Stephen Martin, who was then working creating sound effects on the Radio 4 drama series, ‘The Archers’. It dates from December 1988. 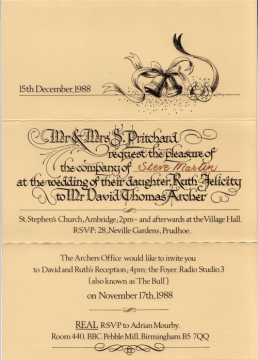 Thanks to Stephen Martin for making the invitation available.